Table tennis is an indoor spot popular in India and Far East. Age and gender is no bar for this sport. NoddOut acknowledges this fact and created an opportunity for ardent table tennis aficionadosto play Table Tennis with Moonmoon Mukherjee. We were honored to try our hand and skill of playing this sport with India's National Table Tennis Champ, Moonmoon Mukherjee at our event; Top Spin with MoonMoon', held on 13th March in Powai, Mumbai. Judged by Moonmoon Mukherjee, groups were made of the attendees and session started with an interactive quiz based on the sport. Later on, Moonmoon showed someof her TT top-spins, smashes, lobs and drives, which left everyone amazed. Professional Achievers competed with each other and they were refreshed with a healthy meal. Moonmoon Mukherjee a reputed Table Tennis player of international repute, who has brought laurels to her motherland and is a pride for nation for being the only Indian woman to become an ITTF Certified Level 3 Coach. /n Moonmoon has represented Bengal, UP & Indian Railways. She represented India in Commonwealth Games in 1994. In 2015, Moonmoon won a gold and two silver medals in an International TT Tournament in Turkey. In May 2016 she emerged as the top 16 in women’s category in the World Veteran TT Championship in Spain, while in Sep 2016, she won two gold medals in the 1St Veteran TT Championship in Greece. Moonmoon has been awarded the prestigious Women’s’ Achievers Award in 2014. A graduate from The Kolkata University, Moonmoon has been endowed with the exceptional natural talent for Table Tennis and a sharp sports acumen. Under her able and dynamic leadership her company, P3 Sports Management Company, has grown to commendable levels of recognition and apart from coaching and mentoring sportsmen on regular basis, P3 has successfully organized various sports events and championships, on corporate and social level. 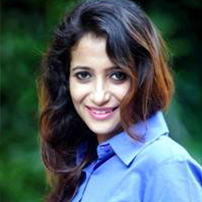 Moonmoon Mukherjee, a reputed Indian Table Tennis player who has served her passion for Table Tennis all through her life through performing, mentoring and encouraging the game, an ITTF certified Level-3 Coach & International Umpire. Moonmoon Mukherjee a reputed Table Tennis player of international repute, who has brought laurels to her motherland and is a pride for nation for being the only Indian woman to become an ITTF Certified Level 3 Coach. /n Moonmoon has represented Bengal, UP & Indian Railways. She represented India in Commonwealth Games in 1994. In 2015, Moonmoon won a gold and two silver medals in an International TT Tournament in Turkey. In May 2016 she emerged as the top 16 in women’s category in the World Veteran TT Championship in Spain, while in Sep 2016, she won two gold medals in the 1St Veteran TT Championship in Greece. Moonmoon has been awarded the prestigious Women’s’ Achievers Award in 2014.\n\n A graduate from The Kolkata University, Moonmoon has been endowed with the exceptional natural talent for Table Tennis and a sharp sports acumen. Under her able and dynamic leadership her company, P3 Sports Management Company, has grown to commendable levels of recognition and apart from coaching and mentoring sportsmen on regular basis, P3 has successfully organized various sports events and championships, on corporate and social level. 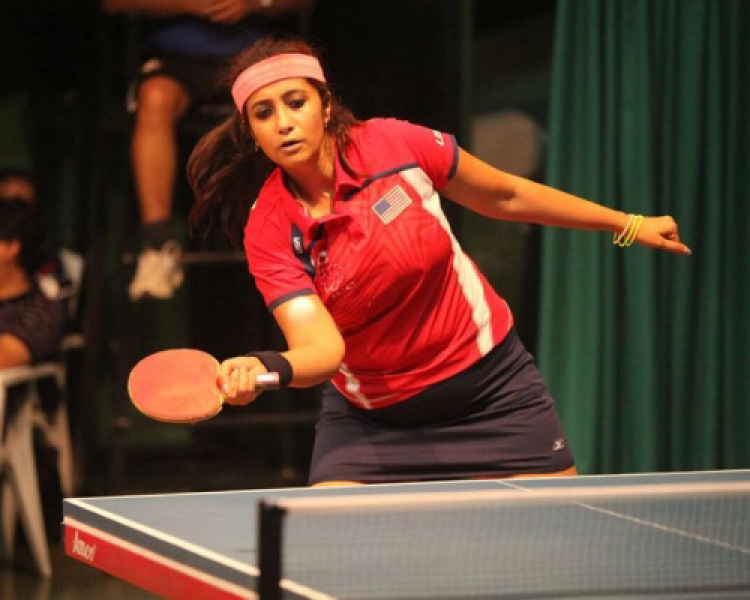 Moonmoon Mukherjee, a reputed Indian Table Tennis player who has served her passion for Table Tennis all through her life through performing, mentoring and encouraging the game, an ITTF certified Level-3 Coach & International Umpire.